Carl Spence, of Hartford, is the first homicide victim of the year in Hartford. A man is dead after a shooting on Laurel Street in Hartford Tuesday night. 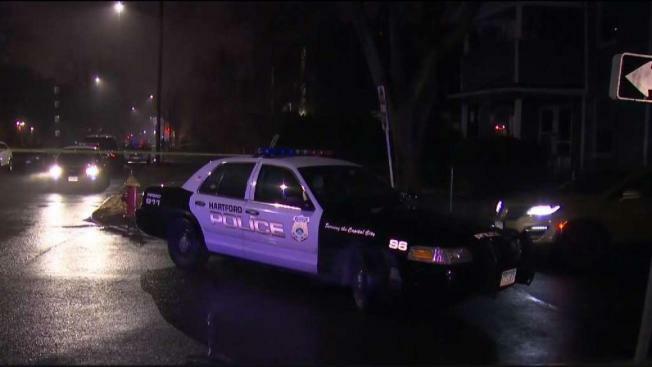 A man is dead after a shooting on Laurel Street in Hartford Tuesday night and police have identified him as 20-year-old Carl Spence, of Hartford. Hartford police Lt. Aaron Boisvert said officers responded to a Shotspotter activation and 911 calls reporting gunshots around 8:40 p.m. When they arrived witnesses pointed them to the building in the 300 block of Laurel Street, where they found Spence with two gunshot wounds. He was taken to St. Francis Hospital where he was pronounced dead, according to police. The Major Crimes Division and Crime Scene Division are investigating. Police said the Laurel Street building is an apartment building with around 12 units. Spence was found in a basement hallway common area. This is the first homicide of 2019 in the capital city.